A rainy day in West Lothian, so a trip to the counties shopping mecca, The Centre in Livingston. This is James having some Japanese cuisine at Wagamama. 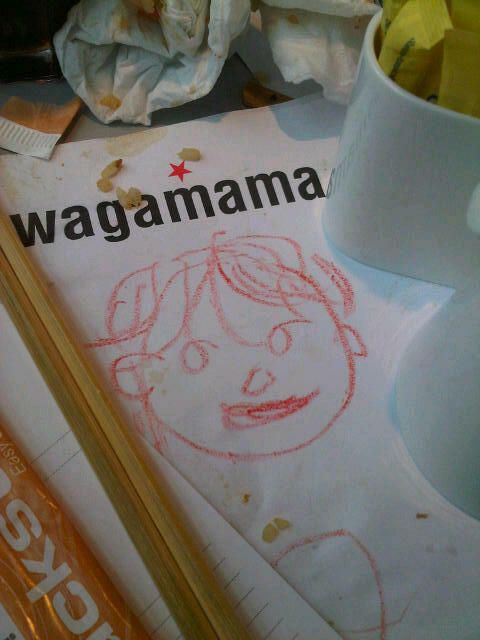 He and Zoe loved it, and apparently ‘wagamama’ is a japanese name that means ‘willful, naughty child’. Spooky!